Based on all reports from credible government and media sources, America is experiences a bit of a boom. Jobless claims are way down, employment levels are breaking records for all demographic groups and small businesses are experiencing growth like never before. According to the Small Business Administration, there are more than 30 million small businesses in the U.S., which employ some 60 million people. That is half of the entire workforce in America, making small businesses account for 99.9 percent of all U.S. businesses. But what crucial things should small businesses be doing when the economy is good and their companies are growing? 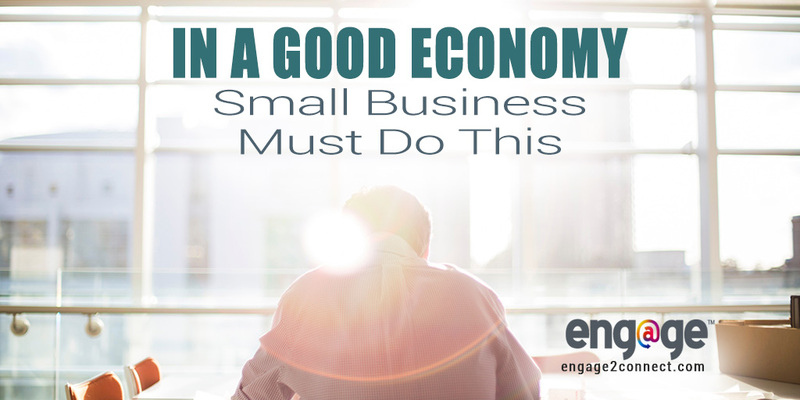 When times for small business are good, there’s no denying it. In fact, small business owners confidence remains near an all-time high according to a Small Business Survey by CNBC/SurveyMonkey. When small business owners are displaying record levels of confidence, you can bet that things are going as expected, if not better than they expected. But when times are good, small business often neglect an important function that will be crucial to their business both now and into the future. Small businesses should learn from larger companies during times of great economic outlook. Looking at what the 130 companies in the S&P 500 will show you that they are investing also. In fact, according to findings by UBS AG, reported on Bloomberg, their capital spending has increased by 39%, the fastest rate in 7 years. So small business should be putting away money for a rainy day and/or investing for important future inevitable needs or requirements. It isn’t hard to realize that investment is an important part of building a thriving, successful business, but what should small business be investing in right now? What Should Small Businesses Invest In Now? 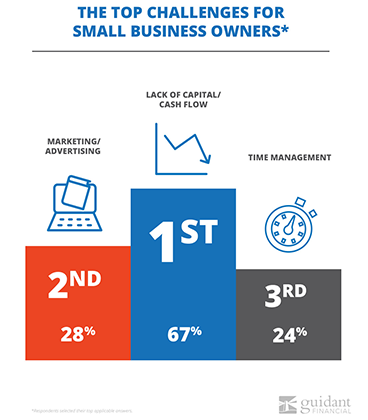 There are three main areas that small business should be focusing on as their business increases revenue and profit. These focus areas also represent the areas where small businesses are often forced to make cuts when cash flow and revenue are constrained. Funny how that works, right? Taking the lead from the larger companies we discussed earlier in this post, it is essential for small businesses to take advantage of scaling revenue and cash flow when times are good and invest them in critical current and future capital expenditures. Capital spending includes things such as buildings, computer and office equipment, furniture, machinery and software. These are the capital expenditures that often deliver huge dividends in productivity and return on investment. Making your small company more productive, efficient and effective allows it to do much more. Beyond doing more with less, the efficiencies that come from capital investments have a real opportunity to further impact profit margins and additional revenue. Don’t underestimate the crucial impact that the new software system, factory machine or computer will make on your business. Use the times of plenty to make these investments and see them pay off in both good and more leaner times to come. Without the investment into these crucial improvements, your business may find it difficult to sustain itself when things slow down. A recent study put out by Guidant Financial, the top challenge business owners currently face are a lack of capital, marketing and advertising efforts, as well as recruiting and retention of employees. Knowing that this is a challenge for many small businesses should have your attention. The companies that figure out the solutions to the complicated and technical digital marketing component stands to realize additional growth over their large and small competitors. Investing in digital marketing should be a priority for small businesses, however that has proven to not always be the case in real life. Unfortunately, when marketing is known to be the second biggest challenge facing small business owners, a renewed focus to address is necessary. The approach to solving the marketing challenge should have one of three solutions as the focus. Hire an experienced digital marketer that has a proven track record. 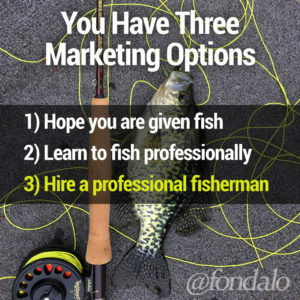 Doing some marketing online, doing it improperly or without expertise can often make matters worse, not better. Hire an experienced agency to manage your marketing for you, enabling you to focus on your core competencies within your business and have a professional integrated digital marketing program in place that works. Go to school. Well, not literally… Digital marketing has become so complex with hundreds of requirements and rules that are not obvious or often even documented clearly, means that if you are not going to hire a professional to your team for $80k per year or more, or invest in working with an experienced agency (often for much less than a qualified staffer), you will need to become a professional marketer yourself. Here’s what we know. Running a small business with limited capital and resources is difficult and requires that you constantly make good decisions. Being constrained with cash often causes you to rob Peter to pay Paul, so to speak. But the fact remains that not only are your larger regional and national competitors making big investments during this roaring economy in preparation for the future, but so are your smaller local competition. Failing to see the writing on the wall during this crucial time, may well impact your business 2 or 3 years from now in negative ways. Let’s discuss the ways that we can work with you to solve your digital marketing challenges.